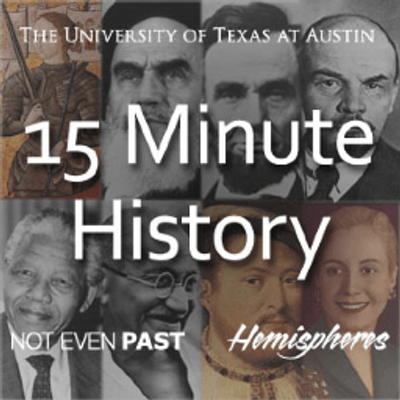 Chris Rose, Outreach Director at the University of Texas at Austin’s Center for Middle Eastern Studies, launched the 15 Minute History Podcast in 2013. Little did he know at the time that within eight months, the podcast would shoot to the number one ranked podcast on iTunesU. Visibility for the institution, individual guests and the History Department at the University of Texas. Graduate students – who are often times guests on the show – having the opportunity to gain visibility and learn a valuable skill by translating academic work into language that resonates with public audiences. Educational resources for high schools. A way to attract prospective students to the thought leadership of the school. Are there ways that you can create a podcast within your school or department that serves similar multiple benefits? If yes, tune in to this episode to glean best practice from Chris and his experiences with 15 Minute History. Christopher Rose studies the early modern Arab world, concentrating on the intersections of colonial power, rural resistance, environmental factors and disease in Egypt and the Levant between 1850 and 1920. He has also extensively studied the history of early Islam, medieval Egypt, and Islamic Spain (711-1492). Chris has served as Outreach Director at the Center for Middle Eastern Studies at the University of Texas at Austin since 2000. Over his tenure, the Middle East outreach program at Texas has grown into a vibrant organization through collaboration in a consortium called Hemispheres, through which curriculum development and teacher training are coordinated by the five area studies centers at the University. He travels throughout the state of Texas to conduct workshops and professional development training for educators and frequently presents at state and national conferences. 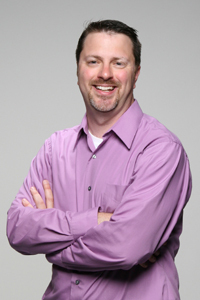 He has written or co-written numerous curriculum units for K-12 educators, including Africa Enslaved: Comparative Slave Systems Outside the United States; Explorers, Traders & Immigrants: Exploring the Social and Cultural Impacts of the Global Commodity Trade;People and Place: Curriculum Resources on Human-Environmental Interactions; Understanding Migration; and Teaching about Rights and Responsibilities. He has taken several groups of K-12 educators and undergraduates to the Middle East (Egypt, Morocco, Turkey, Uzbekistan). He is one of the cohosts of 15 Minute History, a podcast for history educators that is a partnership between Hemispheres and NOT EVEN PAST. He is currently President of the Middle East Outreach Council, a nationwide organization of educators and outreach professionals dedicated to teaching about the Middle East and its diverse cultures in an accessible, non-partisan manner.